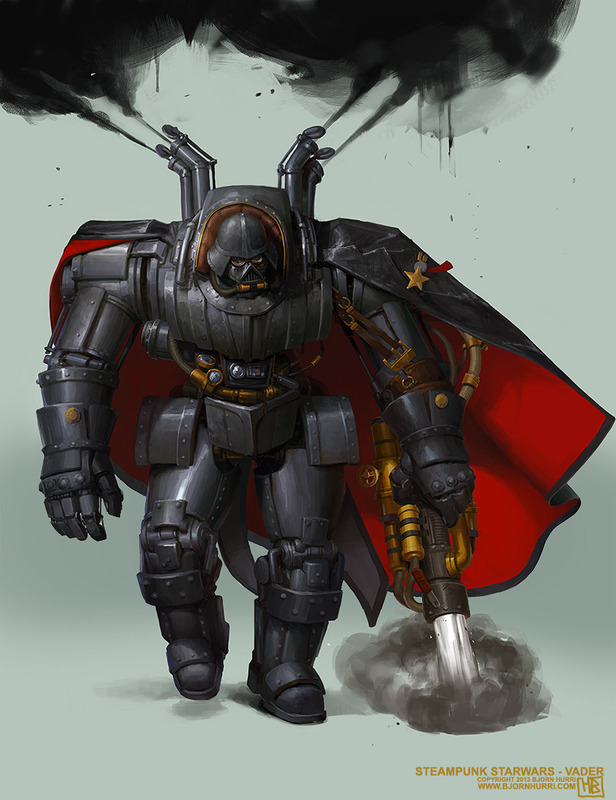 Here's an awesome piece of Star Wars Darth Vader steampunk art created by CGHUB user Bjorn Hurri. This is the artist that created this other series of Star Wars steampunk character art back in 2011. I've got to say his Vader design looks insanely menacing.